The Walking Dead is amazingly popular these days. Spinning out from a kickass comic book series and into a rubbish TV series, the franchise reignited the zombie genre. It’s had a few games since it went big as well, such as the critically-lauded Telltale developed series and the horribly-buggered The Walking Dead: Survival Instinct. A game that we prefer not to talk about these days. There’s another game in the series about people pining for the fjords on the way. One that’s being handled by Payday developers Overkill. And it sounds quite mature. 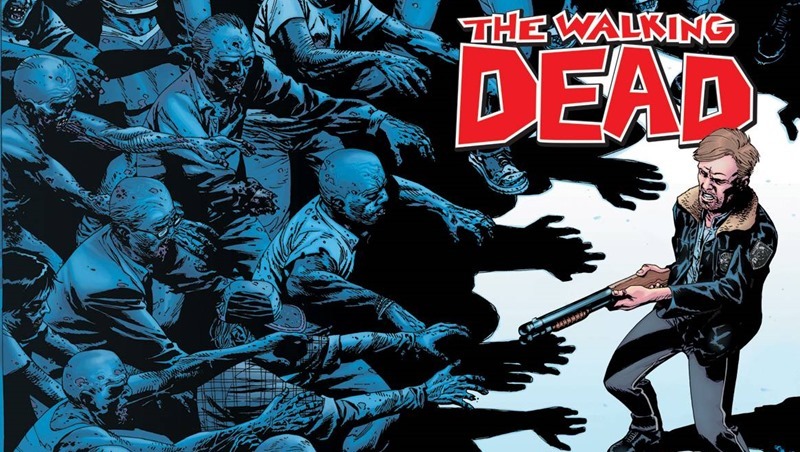 Beyond the fact that Overkill were working on a Walking Dead game with co-creator Robert Kirkman, not much else has been known about the project. But in an interview with OPM, Starbreeze global brand director Almir Listo dropped a few hints towards the nature of this game. “It’s going to be a co-op experience, it’s going to be a survival-horror action-RPG, and there’s going to be various different things that you’re going to see,” Listo said to OPM. Yes, when you sit down and play it you’re going to say, ‘This is a great FPS. This has elements of surprise and stealth and horror.’ But without going into it, we’re definitely going to try and shake up some stuff. With our mature take on Payday and with our The Walking Dead game being mature as well, you can definitely expect something in line with the comic books. The same level of … disturbance, if you will! Hopefully that means Negan will be in the game. And if you’re unfamiliar who that is, let me just say that he happens to make the Governor look like a boy scout in comparison when it comes to being a sheer badass.